Did you know you can shop for authentic gadgets at Shopee? Navigating through their site, you can chose two ways to select products – you can browse via an official shop or seller OR select products per category. 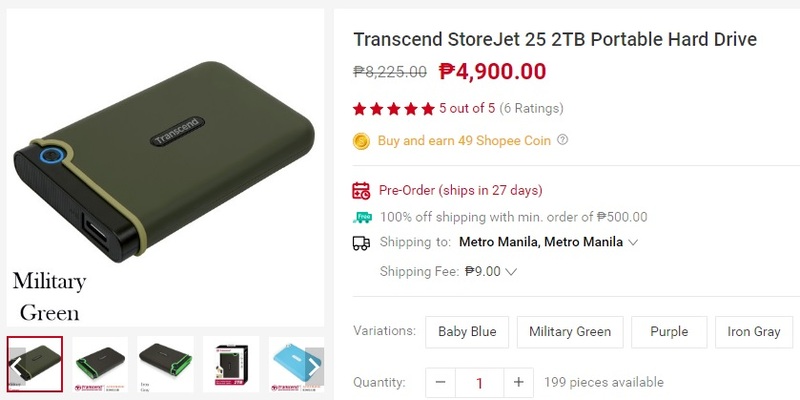 With the 5.5 Shopee Super Sale ongoing, this top 10 Shopee wishlist from Gadgets and Tech PH, created by using both ways to select, can help you in your gadget selection. This is a comprehensive portable Bluetooth speaker that delivers powerful, room-filling stereo sound everywhere. I know, because I’ve heard its sound used in a 25 square meter room and it did fill the room! This ultra-compact speaker is powered by a 3000mAh rechargeable Li-ion battery and can last up to 10 hours of continuous, high-quality stereo audio playtime. 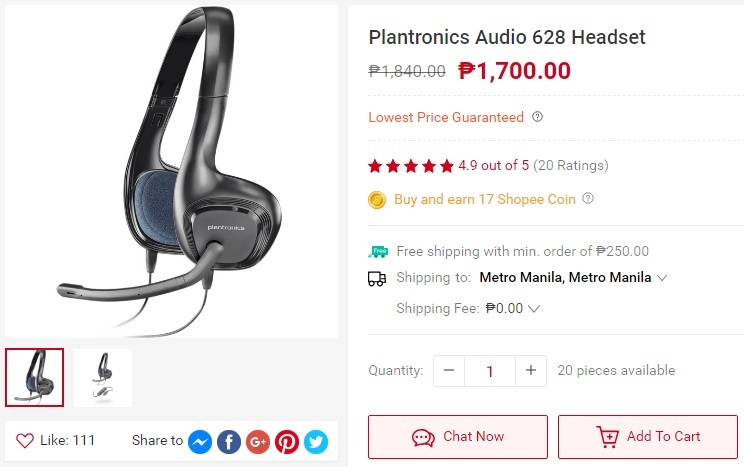 This one from Plantronics is the perfect headset for online calls. It’s easy to wear and easy to use. 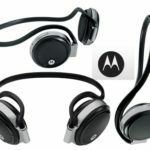 It features a noise-canceling microphone that cancels noise and not your voice. It also has digital signal processing that scrubs static and kills echo. Most of all, it provides rich HD sound. 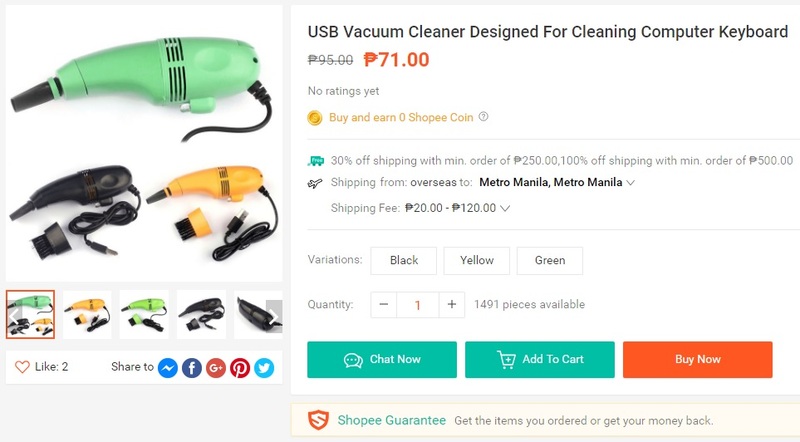 Shopee products include those from individual sellers that sell directly. The next product below is from a seller known as maricelonlinestore unlike the top 3 products above which are sold by more popular and official shops/brands. Sometimes you just need to get something like this for your laptop or desktop computer keyboard. Not all tech gadgets have to be cool and impressive. 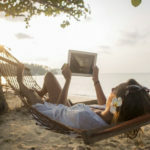 Some gadgets for techies are more for practical use like this one. What’s cool with shopping at Shopee is, some of their sellers are Shopee Guaranteed. Online shoppers like you are guaranteed to get the exact item you ordered or you get your money back! 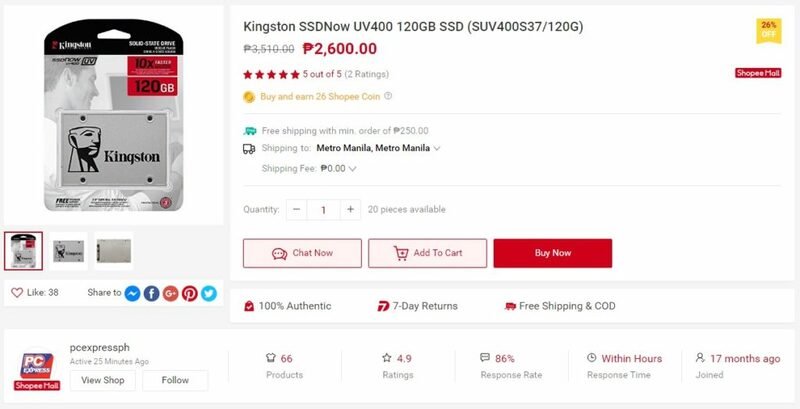 Kingston’s SSDNow UV400 is powered by a four-channel Marvell controller for incredible speeds and higher performance compared to a mechanical hard drive. It dramatically improves the responsiveness of your existing system and is 10 times faster than a 7200RPM hard drive. This is built using Flash memory and is available in multiple capacities, from 120GB to 960GB. This product is the entry-level variant which is 120GB. Uhm, for this one, might as well let the specifications speak for itself. You got a super fast laptop, now you need a super fast Android phone. This one’s easy to use. Just set it on a level surface and let it do its work. The DETU Sphere S lets you in on a whole new dome experience, allowing you to take group pictures with ease. 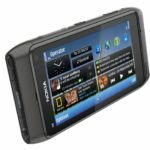 It sports an ultra-wide 12MP lens, wireless connectivity and compatibility to both IOS and Android. It also has a 1200mAh battery, capable of more than an hour of continuous video. Aside from the Sphere, DETU has the Twin which is a complete 360 degree VR camera used for shooting entire 360 degress in horizontal and vertical view. It is configured with dual back to back optical F2.0 fish lens, and is able to shoot 360 degree video in resolution 3040×1520 at 30 fps in format of MP4. By use of Detu 360 camera app, you can make 360 video with your Android mobile or Iphone anytime, anywhere. So, are you impressed with Shopee yet? Who would have known that you could shop for popular brands through them. 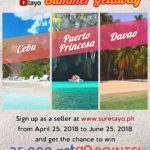 For more information visit Shopee.ph. You may also view more information from the Shopee Facebook page, Twitter and Instagram account.